If you know SA Music, you know Mynie Grové as acclaimed Singer and TV Personality, and some may also know her as Songwriter/Composer but she is much more than that. Add Publisher, Producer, Music Business Activist, Business Developer, Mentor and Life Coach. That’s STILL not all, but will do for now. She grew up the first in her musical family to pursue music formally and it was clear from playing the piano by ear at the age of 3 that she is extraordinarily talented. Composing before she learnt to read, dreaming big before she set foot outside the farmyard in the Western Cape where she grew up, it was a matter of time for Destiny to arrive. Studying Graphic Design and Music after school she gave it up after being discovered by German Producer Claude Larson and the scene was set. Most people enter the business by playing in bands or knocking on Record Company doors. Mynie did so by performing for German TV’s Rundfunk 1, playing a rosewood babygrand on Signal Hill in a red mini dress singing her own composition. Claude Larson moved to Cape Town and Mynie became a founder member of the ‘Claude Larson Singers’. This developed into a duo called ‘Mynie & Jan’ and from there her star was on the rise. Claude’s influence grew the Music IQ he recognised within her, taught her the rudiments of studio production, session work, music arrangement and music publishing. He forwarded his craft to someone who today forwards it to those who are wise enough to seek it out and receive it. Mynie went solo on the invitation of Albie Venter of EMI-Brigadiers, later signed with Moonshine Records and formed her own music publishing Mailbox Music. She moved to Johannesburg and joined an exclusive jingle and session singers team. She became popular with TV audiences through a myriad of TV performances, music series and specials, and was sought after as ‘personality’ for newspapers, magazine articles and covers. She is proud to have been in the very 1st multi-racial TV advert, Mobil’s ‘YOU ARE NO.1’, singing in English, Zulu, Sotho and Afrikaans. Although she acted in 2 movies and 3 TV series, it was always going to be music calling her back time after time. She performed and recorded with RINGO MADLINGOZI, JUDITH SEPHUMA, YVONNE-CHAKA-CHAKA, BRENDA FASSIE, ABIGAIL KUBEKHA, RICHARD -JOHN SMITH, AL ETTO, TALIEP PETERSEN, STEVE KEKANA, BLONDIE & PAPA, BABSI MALANGENE, JENNIFER JONES, VICKY SAMPSON, BIG SKY, LAURIKA RAUCH, ANTON GOOSEN, NATANIEL, AMANDA STRYDOM, KAREN ZOID, DANIE NIEHAUS, etc. 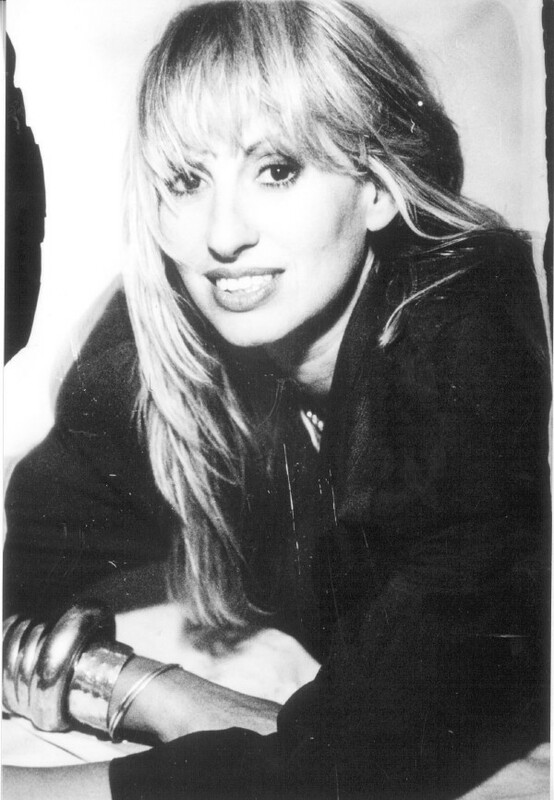 She participated across continents sharing the spotlight with superstars like GLORIA ESTEFAN, ANDY GIBB, ALISON MOYET, ERASURE, JOSE FELICIANO, OMD, etc. Her ad hoc ‘AMAGROOVE YOUTH CHOIR’ has performed with Josh Groban and Diana Ross and toured SA with Michael Bublè in 2007. She was aware that her brand of music needed more scope. Mynie represented SA in 3 international Music Festivals. This led to TV appearances across continents, scored movie and TV theme music and whatever other platforms came her way. She started her own label VUSA RECORDS as it became clear she best honours her talent by making her own decisions. She manages a publishing catalogue of her own material of 450 songs/compositions which includes the evergreen ‘SWEEF SOOS ‘N AREND’, ALWAYS, GYPSY. Among others, European star DANA WINNER recorded one of Mynie’s songs on ‘ERGENS IN MIJN HART’ which went platinum within the first month. Mynie continually pushes boundaries, including indigenous languages in her music, even Jazz, Hiphop and R&B in Afrikaans. Mynie is an industrious talent: she comes with a conscience and a heart the size of a football stadium. She has served on boards and steering committees of CAPE MUSIC INDUSTRY COMMISSION, PANSA, CAPE WOW and MUSA, partnered the amalgamation of music unions, negotiated with AAA’s to upgrade Session singers’ fees equalling Voice Over artists’, and has assisted previously disadvantaged talents into music industry participation. Other talents that counselled with her include FRESHLYGROUND and alternative rock group ZINKPLAAT. She set up COASTAL ARTIST NETWORK to service coastal music business. This private effort realised when the Department of Economic Development and Tourism set up the Cape Music Industry Commission aka CAPEMIC. Mynie is also working on a 20,000 amphitheatre hosting international music events, Coastal TV and an SA Music Radio Station, still on the drawing board, but nevertheless in her field of vision. Her own singing career on the backburner, she is rabidly active in the business of music. Mynie trades as AMAGROOVE MUSIC, a music service provider to corporates. She loves this exciting environment designing systems, strategies and producing the encouragement of self-development through song. She believes Music is the therapy that makes everyone function with focus. The business of ‘EMPOWERING EXPECTATION’ is what makes her DNA dance. She remains the ‘cheerleader’ of development whether it be personal, communal, or coastal. There are a load of opportunities waiting out there. She constantly empowers her own expectations. Shouldn’t you?